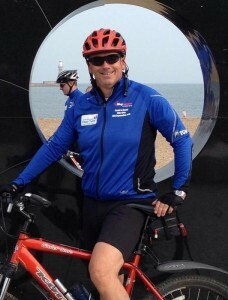 Martyn Weatherall, Hawsons’ senior partner has completed the coast to coast charity bike ride challenge, raising money for Weston Park Hospital Cancer Charity. His 150 mile adventure started in Whitehaven, on the Cumbrian coast early on Friday 18th September and finished in Sunderland on Sunday (21st) evening. Martyn and 13 others, many of whom are also bike novices cycled through the Lake District and up across the Pennines over the course of the 3 days. Martyn has raised over £4,000 in aid of Weston Park Hospital Cancer Charity so far. If you would like to donate please visit Martyn’s Just Giving page by clicking here. This is where you can also take a look at all of Martyn’s updates before and during the ride.